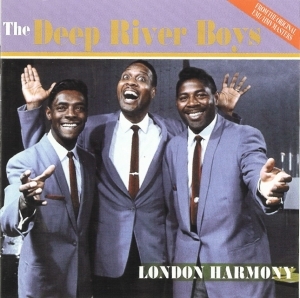 This definitive 44 track 2-CD set collects together many of the recordings made in the UK by Harry Douglas and The Deep River Boys. A jump jive vocal group who were formed in the 1930’s and recorded for RCA they were by the early Fifties after years of touring for the USO the most popular act for US army personnel abroad. This extensive touring led to record breaking runs at the London Palladium and a contract with Parlophone Records (who had also released their American recordings from RCA). They became a staple on variety tours,TV and especially radio. They were able via cover versions to help introduce some authenticity to the emerging Rock and Roll market. The whole CD was sourced from original EMI master tapes and archive materials and compiled at Abbey Road Studios in London.